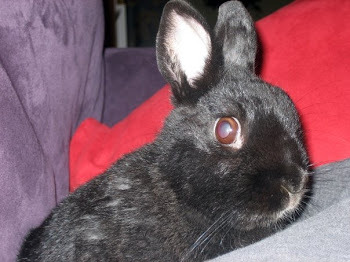 Janis Is Wondering: why don't my bunnies have jobs? 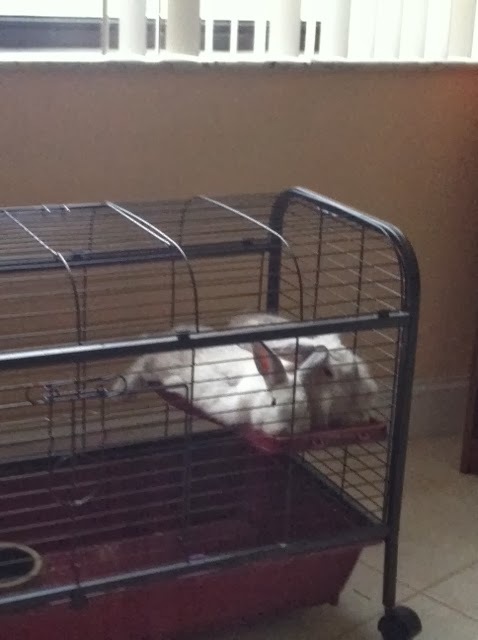 Those two bunnies sure nap a lot. Can't they make better use of their time? I have repeatedly asked them to get jobs or at least clean up around the apartment while we are out and they simply ignore me. 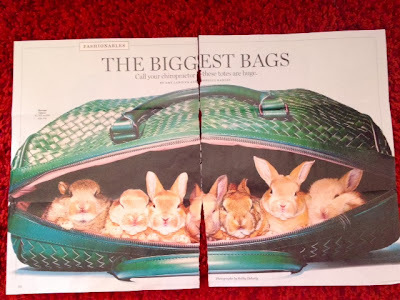 Well, recently I received these magazine clippings full of bunnies modeling and boy did I let these bunnies have it. Apparently OTHER bunnies aren't afraid to go out there and hit the big time. I wonder how much these baby bunnies raked in. In other news, you know what a really stupid idea would be? 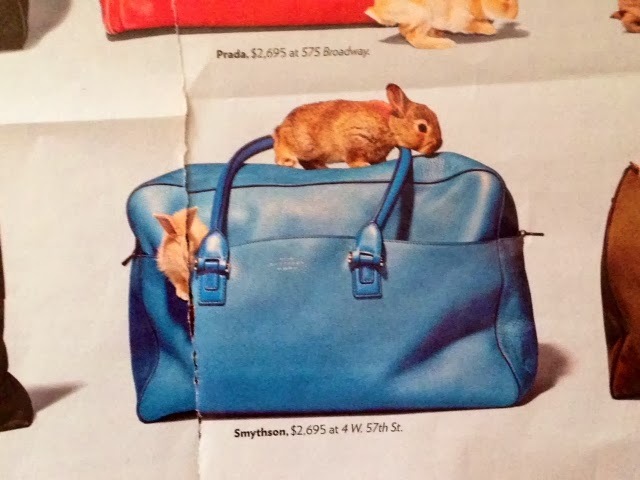 Putting baby bunnies near anything expensive. 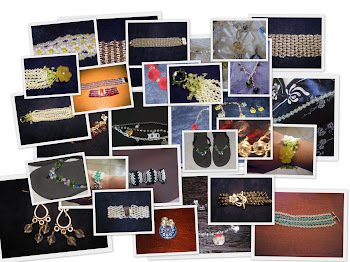 I looked at all the photos and shuttered. First of all, do people actually pay this much for purses and if they did, why would they let a bunny near it? That's 7 baby bunnies that will likely pee or poop in a bag. How did they get them to sit still for this shot? I suspect velcro. Numbers 2 and 7 might be asleep but clearly numbers 3,4 and 5 are pissed off. No good can come from that. Number 1 already has 1 paw out the door....er bag and number 7's whiskers are making their way out. I see trouble ahead. That dude running around the bottom of the bad is clearly about to mark his territory by pooping. That will be followed by chinning the bag to claim it as his own, which will knock the bag over. What's going on with the bunny on top? Is he standing on 4 other bunnies? He's must be planning his escape. 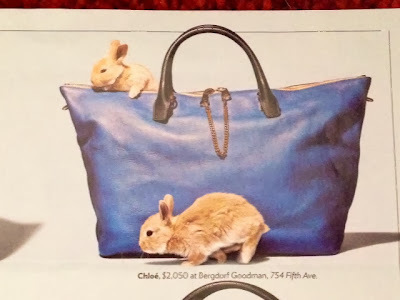 When that bag tips, all sorts of baby bunnies are going to fall out. 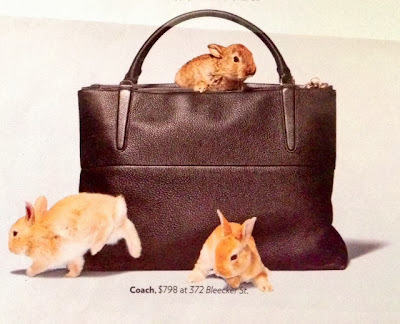 The bottom bunnies are already making a run for the Coach Outlet store where you can surely get this bag for a better price. I am sure this bag will end up in the outlet store anyway since that top bunny will be chewing on the handle in about 5 seconds. Wait, is the entire bag full of bunnies and we can only three are sticking out? How many bunnies would fit in this bag? This doesn't seem very humane. 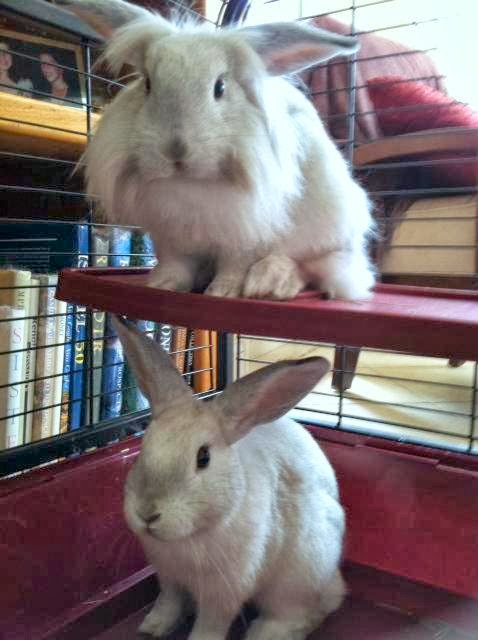 No, that funny guy on Project Runway wouldn't do that to the bunnies. They must be on a pillow or something. A pillow with a pillow case with an exceptionally high thread count (to pee on). 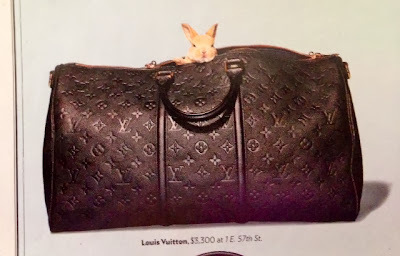 Uh, I know a place in Chinatown where you can get this same bag for $40 bucks and they will throw in the rabbit for free. 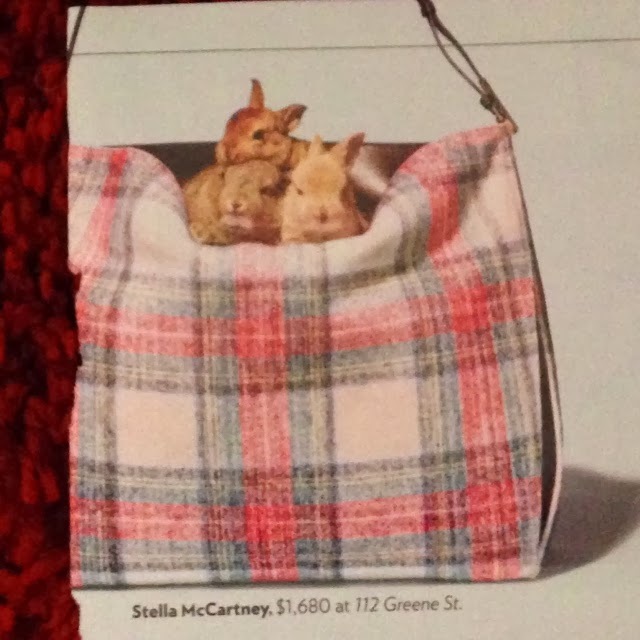 While bunnies appreciate that Stella McCartney is a vegetarian, like they are, that makes the fabric all the more chewable. 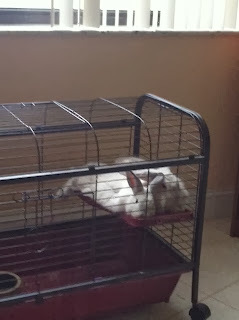 I bet my bunnies could play in here and dig for hours. 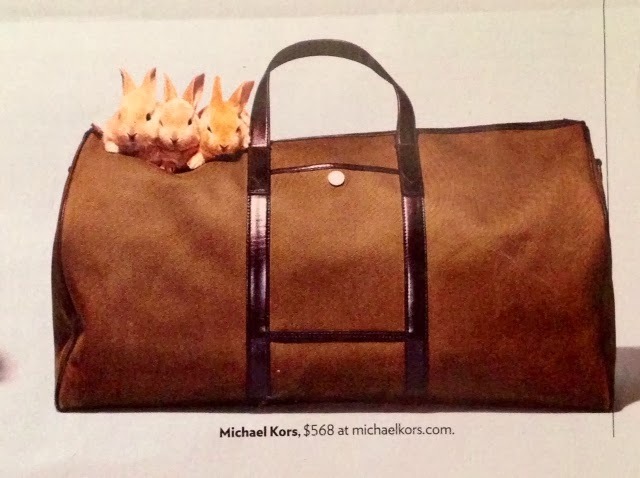 This would make a great gift for that bunny you don't know what to get but you have budgeted $1680 for. That's not anybunny I know. 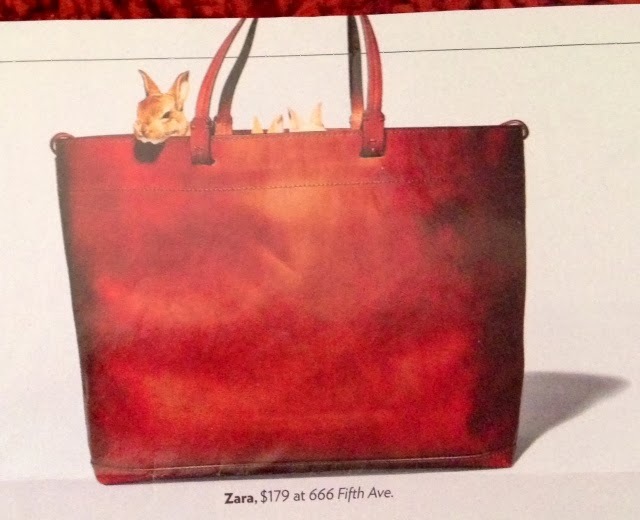 Even this little bunny looks offended by the price of this bag. She's running away. 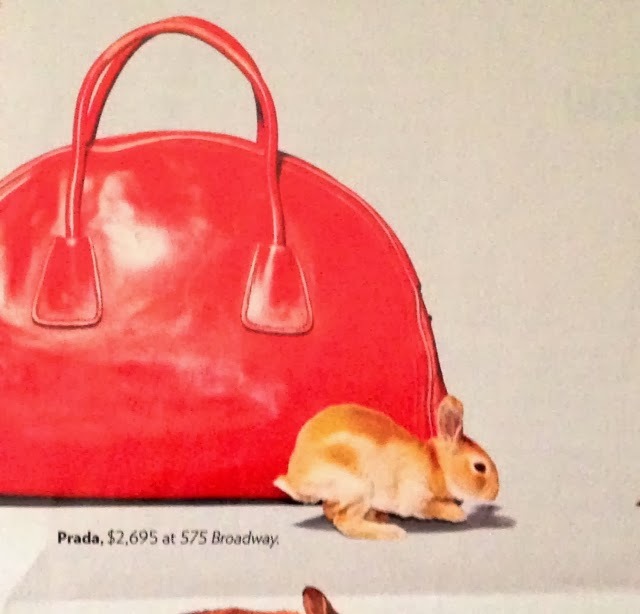 Do you know how many carrots you can but with $2695? Wait, $179? Look at that rabbits face? 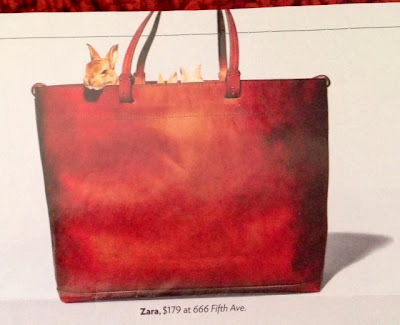 How dare you put this bunny in a bag of such low quality! No wonder the other two are just hiding. They are ashamed to show their faces but it's hard to hide those big ears. This bag will be peed on, for sure. I don't even think they bothered waiting. These two are already chewing the crap out of this bag, while the photo is being taken. It's a goner. They will not be hired back for the next bunny ad campaign. They can stay home and nap like Squirtford and McFlurry.